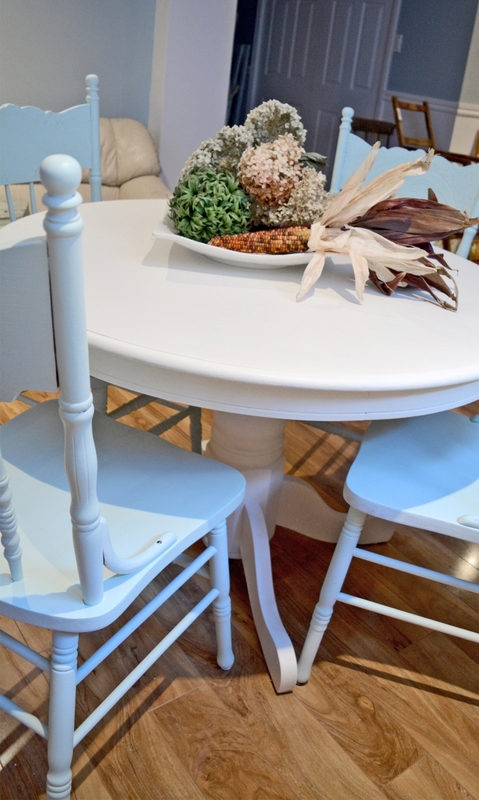 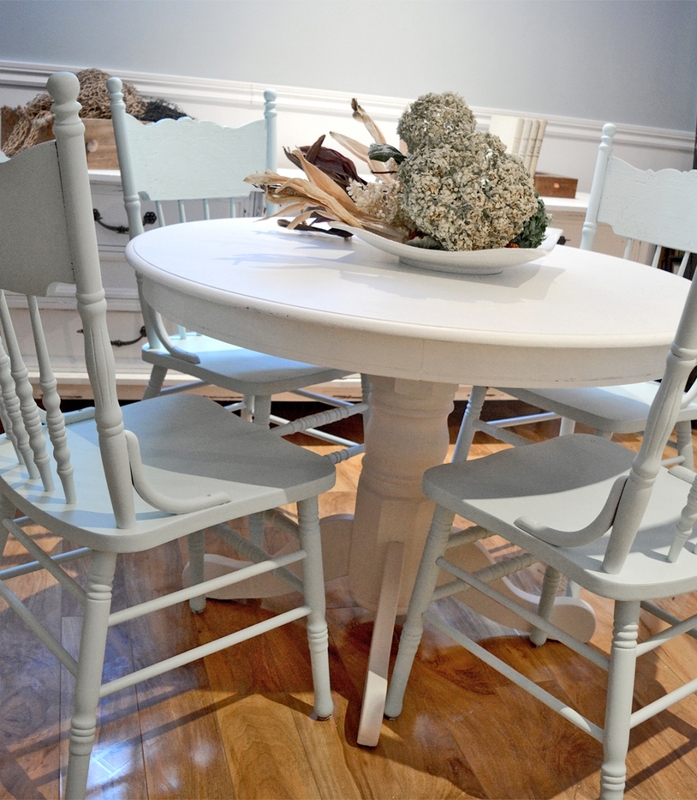 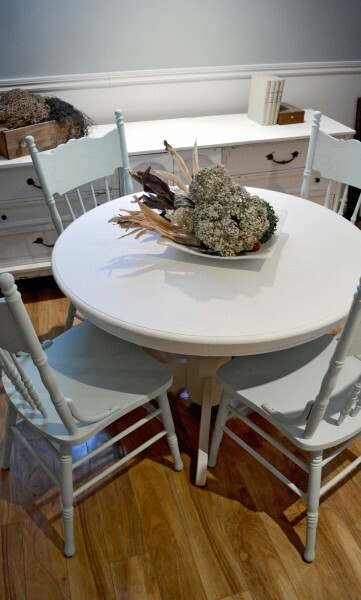 Beautiful set of dining room or dinette including a round cream table and 4 antique turquoise pressback chairs. 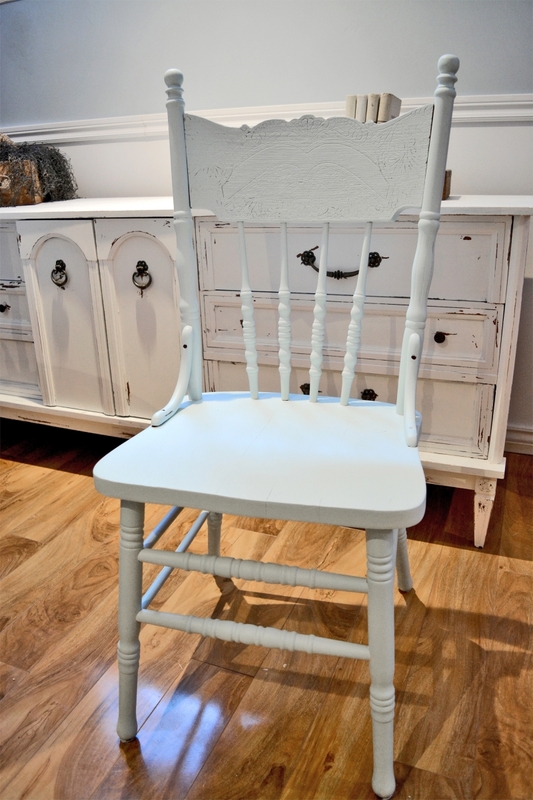 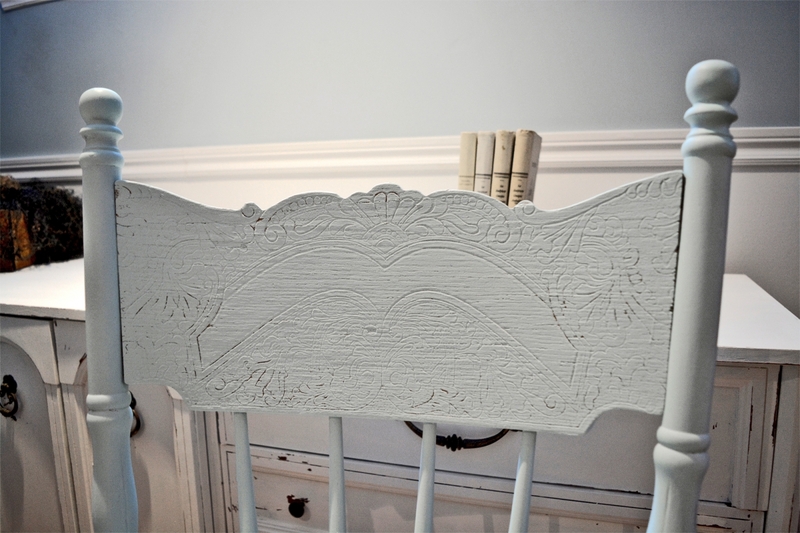 The table can be sold separately for $395 while the pressback chairs at $100 each. The chairs have a size of 40 inches high x 17 "wide x 17.5" deep.